Even the New York Times editorial board, which was very unkind to the Senators, read the politics in a way that cut against the White House's messaging: The committee’s action gives momentum to those who have bitterly criticized Mr. Obama for negotiating with Iran... Mr. Obama initially threatened to veto the legislation, but he backed off rather than face a bipartisan override of his veto. The next step on the Senate side is for the bill to be brought to the floor, where there will be an amendment process and then a vote. On the House side, lawmakers will have to craft parallel legislation, but The Hill reported last nigtht that Democrats are already jumping on board so the process is likely to be quick . If so, Obama lost nothing by his "concession" to Congress. And he knows it. 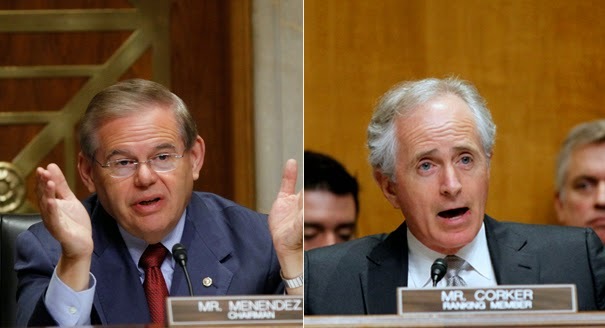 Technorati Tag: Iran and Obama and Congress and Menendez-Corker.